We're a little obsessed with tassels here in the studio. One of our amazing teachers Margaret has been showing us the many ways in which to make tassels and now we want to add them to EVERYTHING!! Here are a few of our favourite ways to use tassels so we can admire them each and every day! 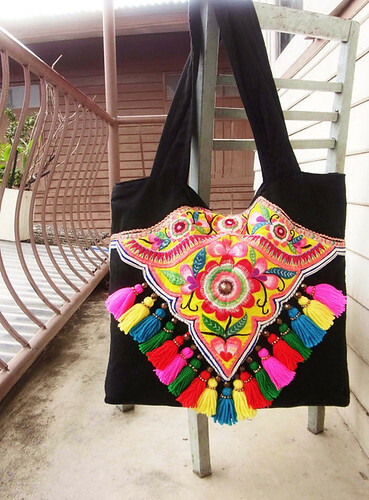 Colourful tassels brighten up a tote bag along with some beautiful embroidery. Tassels add a pop of colour to this otherwise simple dress. 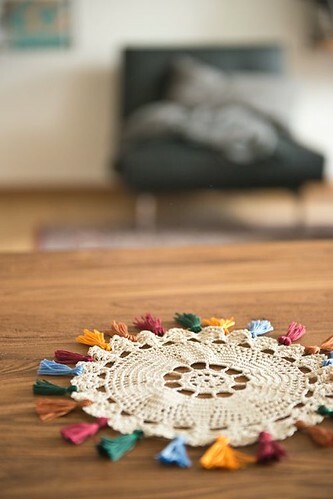 Pretty up your home with delicate tassels and crochet. 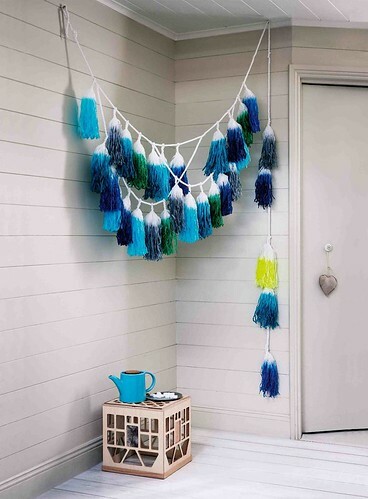 Giant dip dyed tassel garlands make a great decoration for your home. Or how about as a necklace with chunky beads? 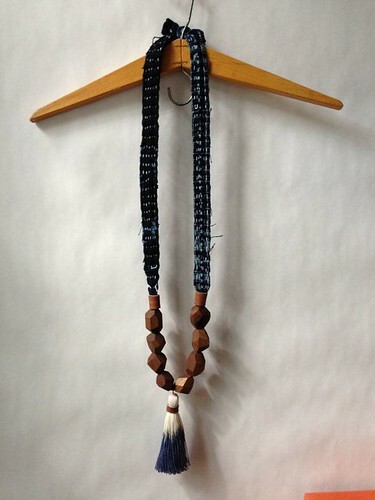 Learn to make your own tassels in our workshop! You will learn a variety of techniques and will have the option of using dyes to create your own unique tassels. From traditional uses such as bookmarks and curtain ties, to modern embellishments for necklaces, bedheads, shoes and earrings, tassels are a versatile addition to modern crafting. 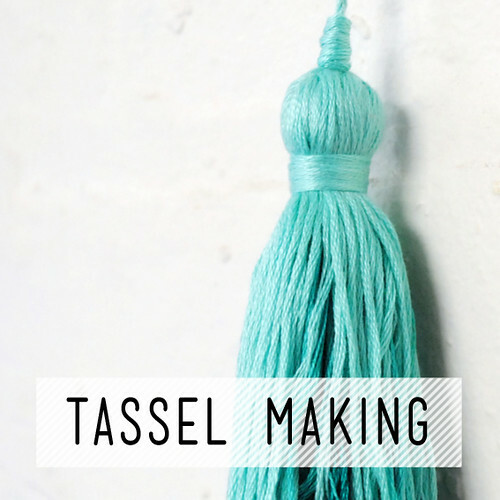 Combine this class with dip dyeing to create your own unique tassels. Participants will take home at least 3 tassels and full written instructions for making more at home. All materials are supplied and covered by a materials fee included in the price of the class. Prior knowledge is not required. Margaret is also teaching her Macrame Plant Hanger workshop tomorrow afternoon. There are a few spots still available. Book here if you'd like to come along!